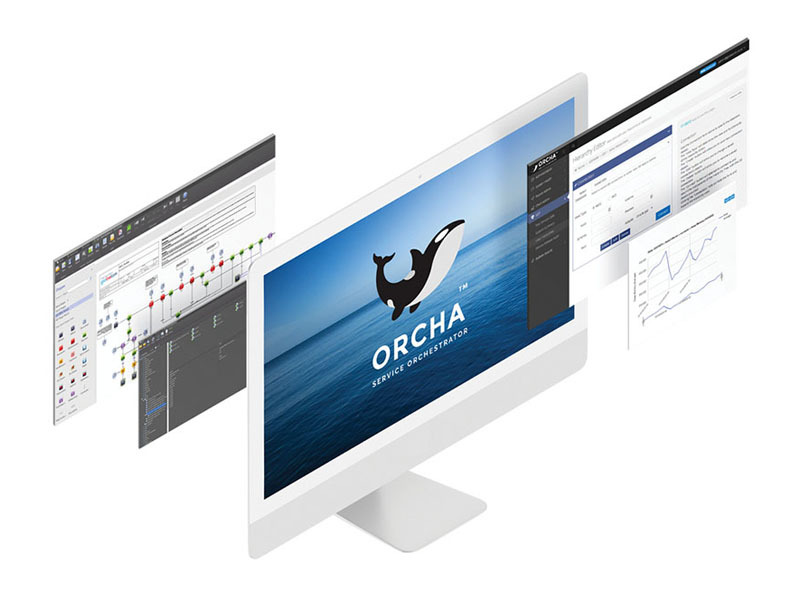 Orcha is a next-generation application server and integration platform in the Service Oriented Architecture (SOA), XTPP and Web-scale IT paradigms. Orcha delivers a robust framework that is used as a foundation for the development of applications that conform to SOA principles. By enabling service development in languages such as C++ (Linux, Unix, Microsoft .NET Visual C++), .NET, Java and PHP, Orcha is programming language agnostic and hardware and operating system platform agnostic. 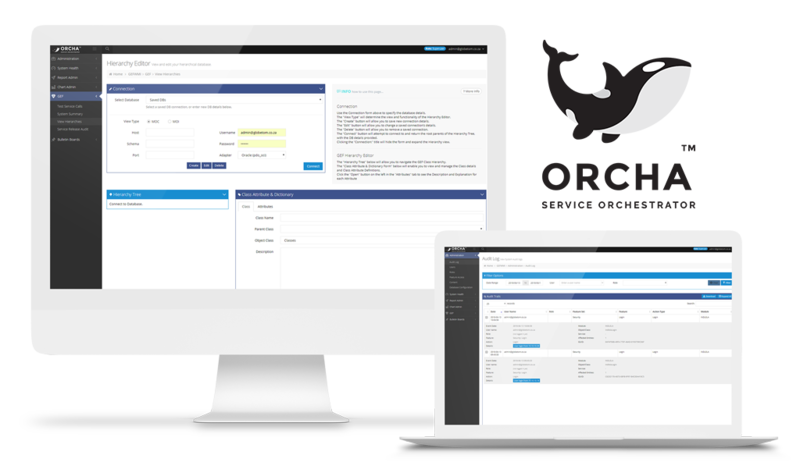 The core Orcha application runs on Linux distributions and is certified on Red Hat Enterprise Linux and CentOS. The application platform is virtualisation and cloud server ready with many installations running on VMWare. Unlike most enterprise SOA application platforms, Orcha’s SOA can scale from small start-up deployments through to switching thousands of business process executions per second. Orcha guarantees scale of SOA by simply adding more virtual hosts or strategically deploying micro-services in the cloud. Daily orchestrations processed with ORCHA at our largest reference customer. Daily number of systems integration interactions resulting from customer interactions. SOA is often diluted to client-server applications using the internet as communication network. Orcha delivers on the SOA differentiation – the agility gained through the execution of services that are implemented as configurable business processes. Our business process modelling is done in Microsoft Visio. This means that the bulk of your business functionality runs on existing, proven, business process orchestration code. This reduces risk with new product and service introduction. Orcha switches more than 450 billion middleware messages per annum across multiple industry verticals. Our collective solution portfolio includes hundreds of business processes deployed for our customers. Consolidate redundant application functionality and decouple functionality from obsolete and costly applications while leveraging existing investments. Orcha is an agile platform for cloud services. Facilitate rapid restructuring and reconfiguration of business processes and solutions that consume them. Deliver business-aligned solutions faster by allowing the business to decide on the key drivers of a solution and allowing IT to rapidly support and implement that direction. Integrate across silo’ed solutions and organisations, reduce the physical number of systems, and enable consolidation of platforms under a program of graceful transition– from legacy spaghetti dependencies to a more organised and integrated set of coexisting systems. Align IT to business goals, enabling the business to associate IT with capabilities that an organization wants to achieve.